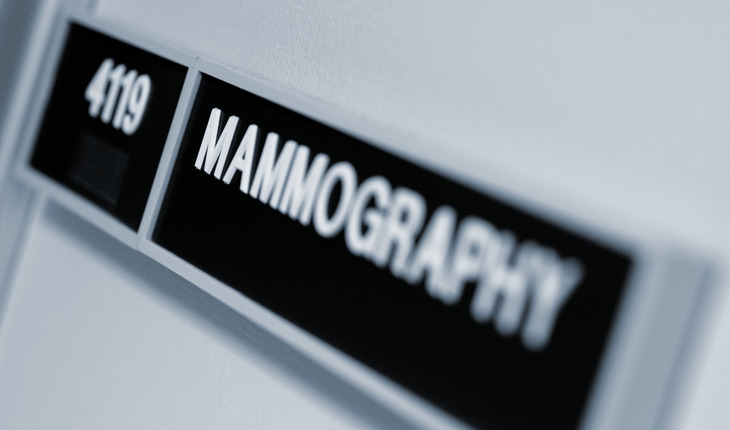 Mammography-detected breast cancer is associated with a shift to earlier stage diagnosis in older women, subsequently reducing the rate of more advanced, difficult-to-treat cases, according to a study published online in the journal Radiology in August 2014. The researchers said the findings lend support to regular mammography screening in women ages 75 and older. A release from the Radiological Society of North America notes that the value of mammography screening in older women has been subject to much debate in recent years. The American Cancer Society recommends annual mammograms for women age 75 and older as long as they are in good health, while the U.S. Preventive Services Task Force (USPSTF) does not recommend mammography screening in this age group, citing insufficient evidence to evaluate benefits and harms. A lack of research is chiefly responsible for the divergent recommendations, according to Judith A. Malmgren, Ph.D., affiliate assistant professor at the University of Washington’s School of Public Health and Community Medicine in Seattle. “There are no studies on women age 75 and older, despite the fact that they are at the highest risk for breast cancer,” she said. Dr. Malmgren and her research partner, Henry Kaplan, M.D., from the Swedish Cancer Institute in Seattle, recently looked at the impact of mammography detection on older women by studying data from an institutional registry that includes more than 14,000 breast cancer cases with 1,600 patients over age 75. The majority of mammography-detected cases were early stage, while physician- and patient-detected cancers were more likely to be advanced stage disease. Mammography-detected invasive breast cancer patients were more often treated with lumpectomy and radiation and had fewer mastectomies and less chemotherapy than patient- or physician-detected cases. Mammography detection was associated with a 97 percent five-year disease-specific invasive cancer survival rate, compared with 87 percent for patient- or physician-detected invasive cancers. The early detection provided by mammography is particularly important in older women, Dr. Malmgren noted, because they cannot easily tolerate the chemotherapy that is commonly used to treat more advanced breast cancers. Dr. Malmgren acknowledged that the potential costs of mammography, such as those associated with false-positive results, are an important consideration when weighing screening benefits. However, she said that false-positive findings are less common in older women. The researchers hope that the study results help women and their physicians make better informed decisions about mammography, ultimately leading to lower mortality rates. “Breast cancer survival in younger women has improved dramatically over last 20 years, but that improvement has not been seen in older women,” Dr. Malmgren said.